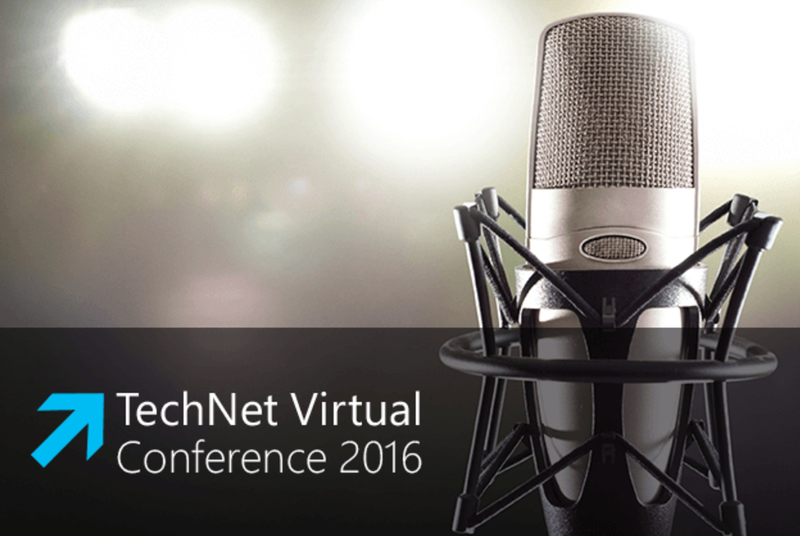 Microsoft is hosting a 3-day online conference for IT Professionals called, “TechNet Virtual Conference”. With nearly continuous updates to our cloud infrastructure and major innovations just around the corner, it can be tough to find the time to keep up. Day three will look at some of the Microsoft infrastructure technology you should be trying out for yourself. Regardless of how much you think you know, there are many opportunities to learn from Microsoft experts who are creating the future! With Windows Server 2016, Microsoft brings to market new innovations across virtualization, storage and networking that will enable you to transform and modernize your datacenter. From unique security capabilities with Shielded Virtual Machines, hyperconverged storage with Storage Spaces Direct, and comprehensive software-defined networking, you’ll get up to speed on the key infrastructure enhancements in this release. There’s no denying that virtualization has dramatically changed the datacenter. Virtualization, however, is not without its limitations, and it’s not ideal for all use cases. Containerization takes virtualization to the next level. In many ways, containerization is an evolution of virtualization, and some would argue that the lines between the two are blurry and semantic. This session will help you understand Windows Server and Hyper-V Containers, in addition to how we’re integrating the Container ecosystem through partnerships with platforms such as Docker. The Microsoft Operations Management Suite is the IT management solution for the cloud era; a single solution built to manage your entire enterprise environment regardless of location, operating system, hypervisors, or cloud provider choices. The Operations Management Suite oversees the Windows and Linux workloads across your datacenter, Azure, Amazon Web Services (AWS), OpenStack, and VMware environments, incorporating cloud-scale resources to unlock newer, faster ways to solve and prevent problems. In this session, you’ll learn how the Operations Management Suite delivers a unified IT management solution that enables you gain deep visibility, automate, protect and secure your key workloads – no matter where they are. Are you new to Microsoft Azure? If you’re an experienced IT Pro and you want to know more about Microsoft Azure, this session will help get you up to speed on the fundamental elements of the Microsoft Cloud Infrastructure platform that is Microsoft Azure. Topics covered will include Compute, Storage and Networking. Microsoft Azure Stack brings proven innovation from Microsoft’s hyper-scale public cloud into your datacenter, providing agility and productivity for application owners, flexibility and control for IT, and assurance that corporate assets are protected. Founded on Azure technologies, Microsoft Azure Stack delivers proven, software-defined infrastructure for existing and next-generation applications. With advanced compute, networking, storage and security solutions, you can unlock new levels of flexibility and performance using industry-standard hardware, on top of which you can deliver Azure-based IaaS and PaaS services in your datacenter. These services can be customized to meet the needs of your users, delivering the same self-service experience as Azure to empower your developers through write-once/deploy-anywhere freedom.